Attracting talent is the biggest challenge. To attract talent, we must communicate. To communicate we must understand our needs and those of the Career Owners. To understand we need information on functional and behavioural requirements, the organisational culture and the team dynamics. The answer is in the people data. When you understand the people data you can create the right message. We identify the needs and work with the data to build your perfect hiring strategy. Life is about Selection and Selection is our Life. Identifying motivation, determining talent and potential is the next critical step to achieve the objectives. We collect information using a combination of the right tools to identify soft skills, test knowledge and map abilities. 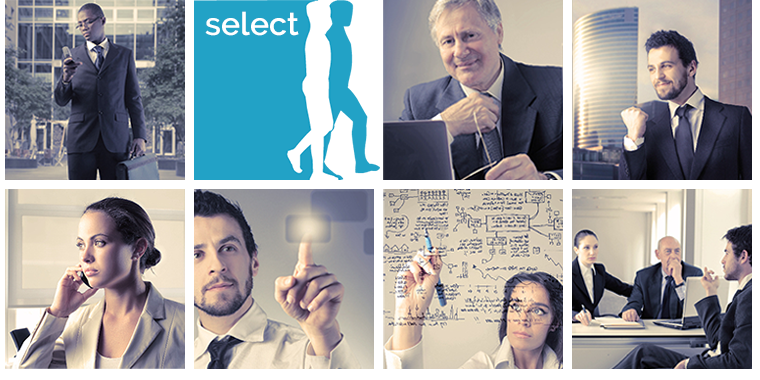 To match talent to business requirements and establish a cultural fit is our expertise. Selection is the basis for qualified matching. Whenever you match culture, personality or future potential, it's about People. To manage people and talents in modern organisations you need to rely on people data. It requires evidence-based insights and the detailed knowledge of soft and hard facts. Objective and validated information is at the centre of management decisions. Managers need access to operational people information to achieve results. We provide technology driven solutions that deliver this information. Motivation is a must for tomorrow’s talents. Knowledge of drivers and motivators is an undeniable asset. Motivated people develop their potential and create a great company culture. Motivation and feeling worth are top of the list for Millennials. To understand motivational needs and drivers we need to listen to people and understand their motives, aspirations and values. Managers need evidence-based information to manage towards results. When change and talent shortage are the new constant, development is the undeniable answer. If you want to retain talent in times of shortage you need to develop them. To discover and stimulate the development needs of the Career Owner is today's great challenge. It is necessary to align their individual expectations with the organisational needs and opportunities. Thalento® provides the information to manage this challenge. Thalento® Learning develops both tailored and standard e-learning solutions. Mobility is the key word in our current business reality. Declining talent availability and new World of Work Ethics put enhanced pressure on organisations. People want to explore opportunities and expand their talents and possibilities. Mapping future talent potential, matching individual needs and possibilities is a new critical core competence for HR. Building actual and objective data that identifies and stimulates mobility is a valuable asset. At Thalento® we understand the mobility needs of organisations and Career Owners. Mastering the flow of talent in and out of organisations is the new reality. Organisations and talent will be temporary partners in the future World of Work. The Careers are shorter and more dynamic. How we deal with this, in a mutual win-win philosophy, defines the way we are perceived by talent in the labour market. Finding new solutions for new work realities has been our passions for the past 10 years. Every ending is the beginning of a new life cycle. Understand why people decide to leave. Listen, learn, coach and support on a daily basis during their entire career with you. Not only when they decide to leave. Accept and encourage their next career step, for it determines their perception of your organisation. You will most likely cross paths again in the future. The way and fairness in which you separate determine the potential of a future cooperation and your employer's brand.